On August 15th a man with a gun walked into the building where the conservative hate group Family Research Council (FRC) is headquartered and shot a security guard before being subdued. It was a tragic event that was allegedly politically motivated because allegedly the shooter, who supports LGBT rights, told the victim that he didn’t like his politics and the FRC has been working hard to limit LGBT rights. The shooting was condemned by various LGBT groups as well as supporters for religious freedom. But FRC decided to use the shooting to fundraise for the group claiming it was proof of a “war on religion”. 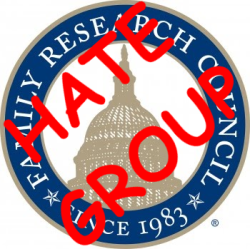 The truth is the Family Research Council earns its hate group status. This entry was posted in Courts, Groups, Media, Politics, Religious Intolerance and tagged church and state, Family Research Council, religious based terrorism, religious bigotry, shooting, war on religion on August 30, 2012 by Doug. The feuding on the right continues over the gay conservative group GOProud, with two more social conservative groups announcing that they won’t attend the big Conservative Political Action Conference this February — in part because the gay group is participating. A few other social conservative organizations — including the National Organization for Marriage, which was at last year’s conference — have also withdrawn from the event. TPM asked GOProud executive director Jimmy LaSalvia for comment. “GOProud is excited to once again be a part of the nation’s preeminent gathering of conservatives. We’re going to be there for the second year at the same level we were last year,” said LaSalvia. I am just so broke up about this. Can’t right-wingers all get along??? This entry was posted in Groups, Politics, Religious Intolerance and tagged Concerned Women, Conservative Political Action Conference, CPAC, Family Research Council, gay rights, GOProud, religious conservative on December 28, 2010 by Doug. Saw this bit on the website Crooks and Liars about Ohio’s favorite religious right demagogue J Kenneth Blackwell who has a new gig and word he may try to run for US Senate in 2010. It was from the Talk 2 Action blog. Kenneth Blackwell, the former secretary of state of Ohio, took up ideological residence at the Family Research Council earlier this year. His repositioning was the result of having been trounced last November in that state’s gubernatorial contest at the hands of the Democratic Party’s Congressman Ted Strickland. Over the years, Blackwell has carried enough water for the GOP to fill up a good part of Lake Erie. He’s done enough dirty work to pave the Interstate from Cleveland to Columbus. He is credited with being part of the team that helped double President George W. Bush’s vote count among Blacks in Ohio in 2004, and is charged, by critics, of having tampered with that vote. 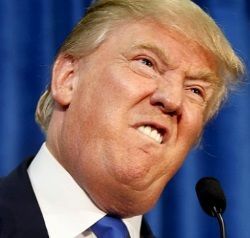 So despite his humiliating defeat, he remains a darling of both religious and economic conservatives. It give a good run down of the crap he pulled in Ohio and who loves him now. This entry was posted in Anti-science, Entanglement, Groups, Politics, Religious Intolerance and tagged Family Research Council, J. Kenneth Blackwell, Ohio, Tony Perkins on September 4, 2007 by Doug.